Castle Kintochlochie is hosting a wedding, but malicious forces are at work. A riotous 1920s romantic romp, with a mystery to solve. Defiant debutante Lady Ophelia Finchingfield is staying with her grandmother in the Highlands of Scotland. In love with the castle’s gorgeous estate manager, Hamish, she faces the wrath of her mother, who has her sights set on Ophelia’s marriage to an earl, at the very least. 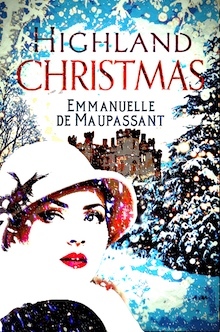 Meanwhile, glamorous French coquette Felicité is endeavouring to lure Hamish to the service of her bed and something strange is afoot in the castle. Could Ophelia’s life be in danger?